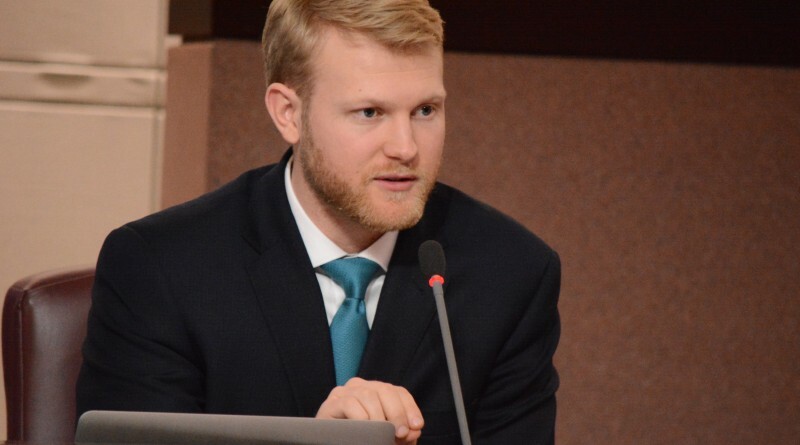 Supervisor Ron A. Meyer Jr. (R-Broad Run) has been appointed to Loudoun’s newly created second seat on the Northern Virginia Transportation Commission, which oversees the Metropolitan Washington Area Transit Authority. Meyer joins the NVTC as Loudoun prepares for Metrorail, which WMATA oversees. Supervisor Matthew F. Letourneau (R-Dulles) is Loudoun’s current representative to NVTC. Loudoun was granted a second seat on NVTC after Del. J. Randall Minchew (R-10)’s House Bill 181 passed and was signed into law earlier this year. Meyer joins 20 current NVTC commissioners, including five from Fairfax County, three from Arlington County, two from the City of Alexandria, and one each from the cities of Falls Church and Fairfax. It also has six members from the General Assembly—including five whose districts include parts of Loudoun County. Minchew serves on the NVTC, joined by Sen. Richard H. Black (R-13), Sen. Jennifer T. Wexton (D-33), Del. Dave A. LaRock (R-33), and Del. James M. LeMunyon (R-67). Minchew, LaRock, LeMunyon, and Wexton also signed on to HB 181 as patrons, joined by Loudoun delegates John J. Bell (D-87), Jennifer B. Boysko (D-86), and Kathleen Murphy (D-34).